Our Company is managed by a team of technocrats having rich and varied experience in diverse fields such as Rubber technology, Product Design and Engineering, Research & Development, Process Control, Field Technical Services, Marketing, Finance, Accounts etc.We are suppliers to many esteemed vehicle manufacturers such as Mahindra & Mahindra, Tata Motors etc and eminent auto component manufacturers such as Thakkarsons Auto Ancillaries Pvt. Ltd., Sharada Motors Ltd, Leading Leaf Springs, Link Assemblies, Pivots, Pan Hard Rods and other suspension component manufacturers etc. 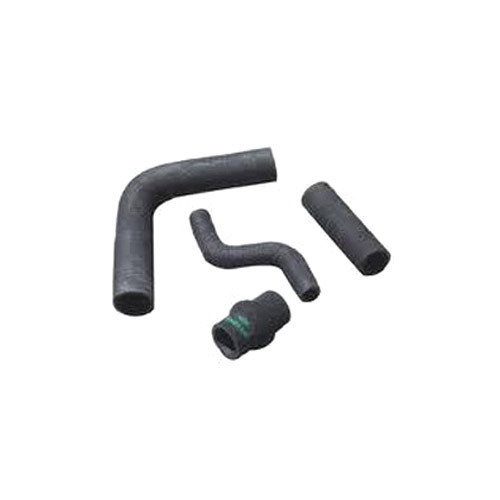 Rubber extrusions are parts that are put in an extruder or extrusion machine and forced through a die to manufacture the necessary cross section, such as squares, cord shapes, and hollow sections for added compression for sealing. At BRIGHT, all our rubber extrusions are made from a custom formulated EPDM sponge rubber that protects against extreme weather, drowns out noise, and eliminates vibration. The brand of choice for the marine, automotive, industrial, and manufacturing industries, our rubber extrusions work perfectly for window panes, garage doors, vehicle sunroofs, windshields, and many other home and vehicle applications. With long years of experience in the industry, we are able to manufacture, supply and export premium range of Auto Rubber Parts. 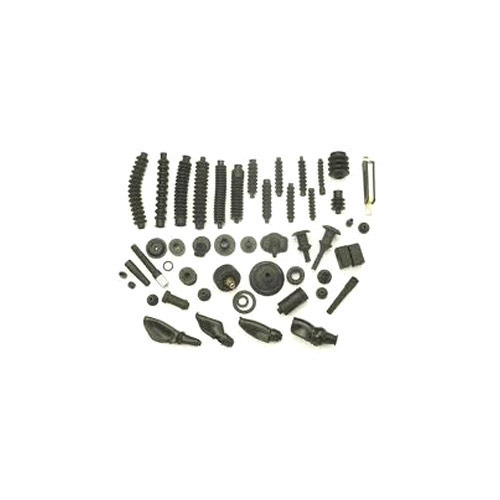 These auto rubber parts we are offering are made from top quality polymer materials that are sourced from trusted vendors in the industry. 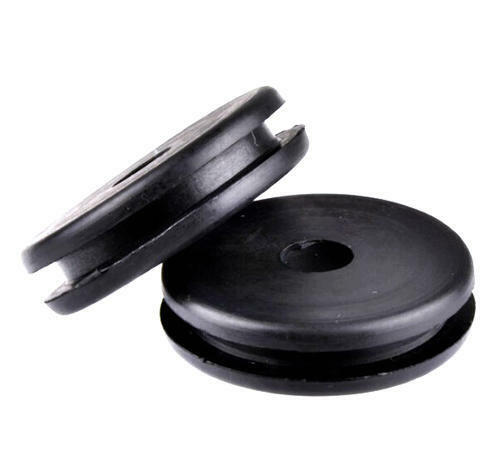 We offer wide range of auto rubber parts in different sizes and designs such as gaskets, bumpers, rubber O ring jointers, seals, etc. Our auto rubber parts have excellent finishing and supreme durability for long lasting use available to our clients at market leading prices. 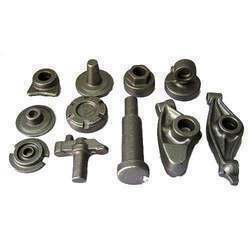 With the help of our state-of-the-art infrastructure unit, we are able to manufacture superlative quality PU Bush that is mainly used in automobile industry. 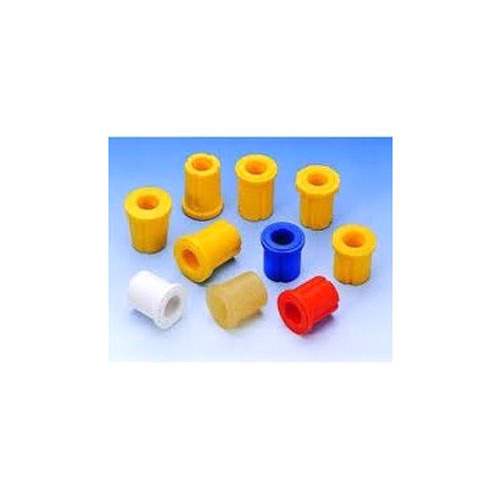 The offered bush are manufactured with the help of finest quality material that is sourced from trusted vendors in the market and technically advanced tools in adherence to set industrial norms. Our offered bush is made available in various specifications for our clients to choose from. 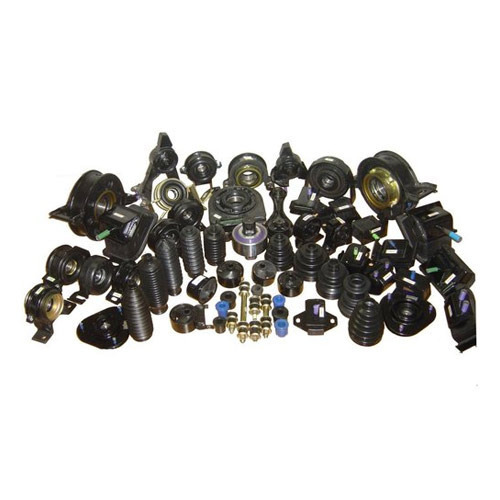 With the valuable assistance of skilled team of professionals, we are offering an extensive range of high quality Tata Vehicle Rubber Parts. 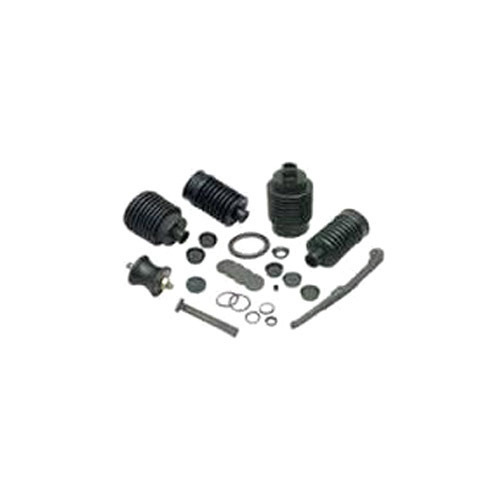 The offered parts are manufactured with the help of finest quality rubber and cutting-edges technology in compliance with set industrial norms. Our offered parts are thoroughly tested on various stages by our quality controllers assuring their flawlessness at users' end. 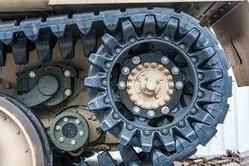 We have marked a distinct and dynamic position in the market by providing a high quality array of Four Wheeler Rubber Parts. The offered parts are manufactured with the help of premium quality material and sophisticated tools in adherence to set industrial norms. 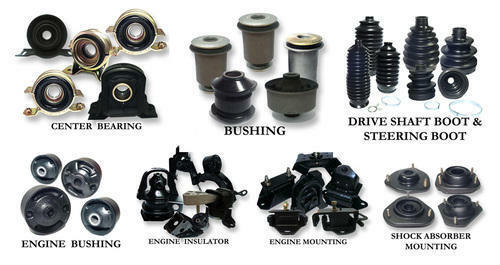 Our offered parts are widely used in various automobiles. These parts are widely appreciated by our clients for heat, chemical and oil resistivity. With long years of experience in the industry, we are able to manufacture, supply and export premium range of Two Wheeler Rubber Parts. 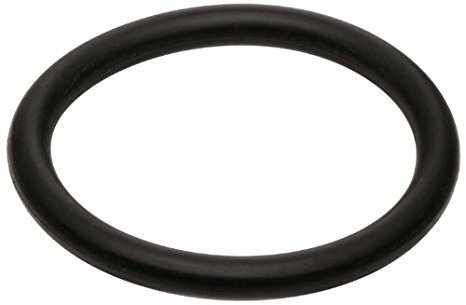 We offer wide range of auto rubber parts in different sizes and designs such as gaskets, bumpers, rubber O ring jointers, seals, etc. 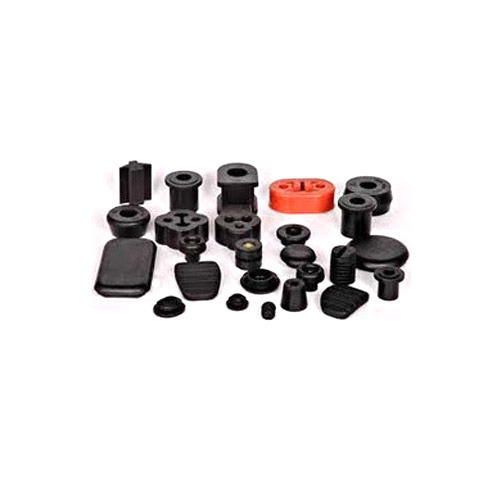 With long years of experience in the industry, we are able to manufacture, supply and export premium range of Bajaj Rubber Parts. We offer wide range of auto rubber parts in different sizes and designs such as gaskets, bumpers, rubber O ring jointers, seals, etc. With long years of experience in the industry, we are able to manufacture, supply and export premium range of Mahindra Rubber Parts. We offer wide range of auto rubber parts in different sizes and designs such as gaskets, bumpers, rubber O ring jointers, seals, etc. With long years of experience in the industry, we are able to manufacture, supply and export premium range of Honda Rubber Parts. We offer wide range of auto rubber parts in different sizes and designs such as gaskets, bumpers, rubber O ring jointers, seals, etc. 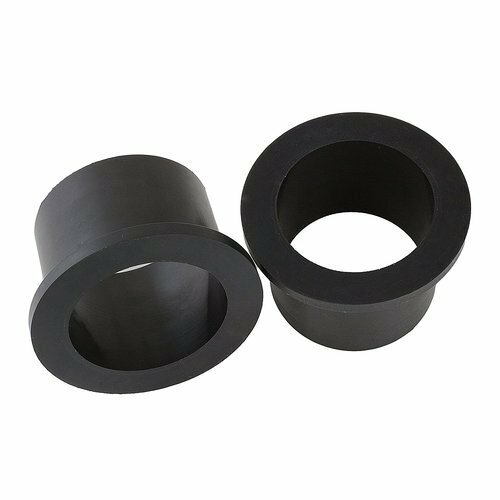 With long years of experience in the industry, we are able to manufacture, supply and export premium range of Hero Rubber Parts. We offer wide range of auto rubber parts in different sizes and designs such as gaskets, bumpers, rubber O ring jointers, seals, etc. 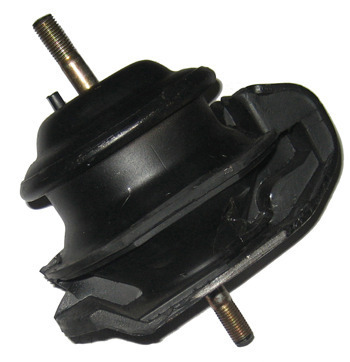 We are manufacturing engine mounts as per customer requirement. 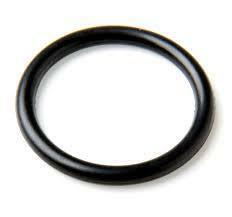 We are manufacturing rubber grommets as per customer requirement. 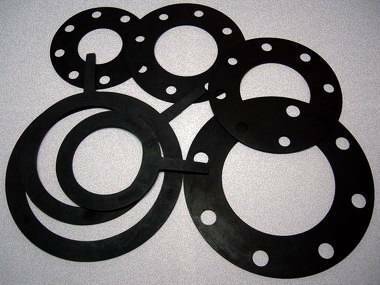 We are manufacturing EPDM GASKETS as per customer requirement. 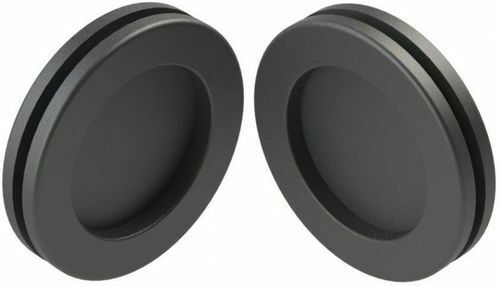 With long years of experience in the industry, we are able to manufacture, supply and export premium range of TVS Rubber Parts. We offer wide range of auto rubber parts in different sizes and designs such as gaskets, bumpers, rubber O ring jointers, seals, etc. 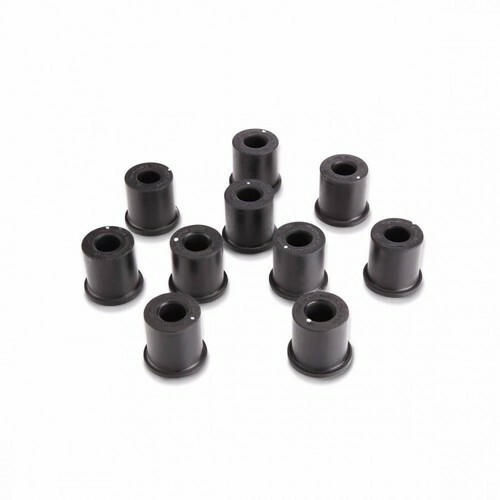 With long years of experience in the industry, we are able to manufacture, supply and export premium range of Hyundai Rubber Parts. We offer wide range of auto rubber parts in different sizes and designs such as gaskets, bumpers, rubber O ring jointers, seals, etc. With long years of experience in the industry, we are able to manufacture, supply and export premium range of Maruti Rubber Parts. We offer wide range of auto rubber parts in different sizes and designs such as gaskets, bumpers, rubber O ring jointers, seals, etc. 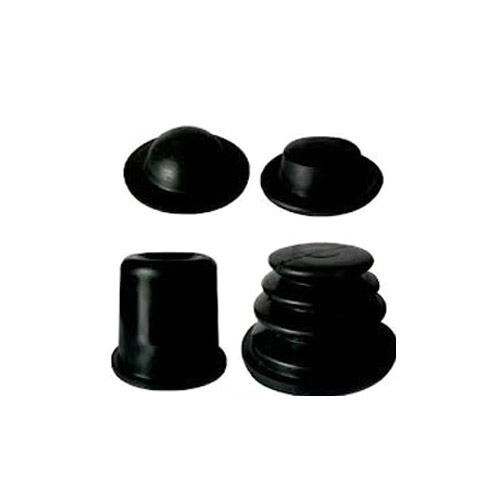 We manufacture High quality Defence Rubber Part of various types as per requirement. 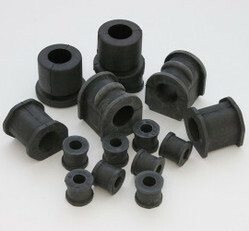 We manufacture High quality ship rubber parts / products. 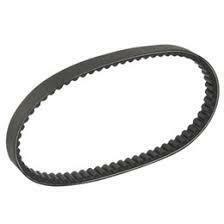 We manufacture High quality Metro Rail Rubber Parts. 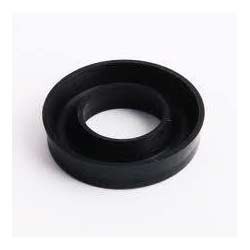 We manufacture High quality Mixer Rubber Parts. 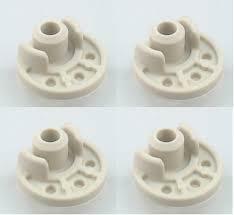 Looking for “AUTO RUBBER PARTS”?